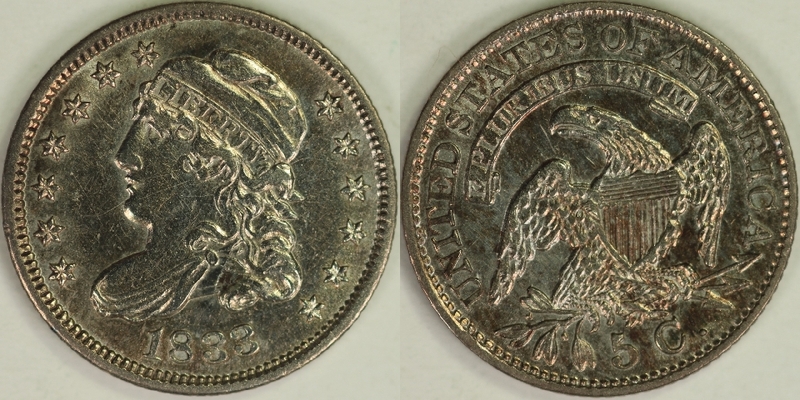 Bust Half Dimes for sale - Rich Uhrich Rare U.S. 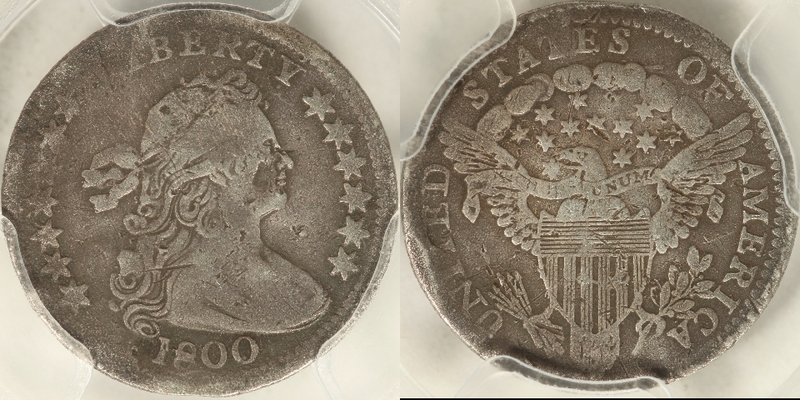 Coins Inc.
We recently obtained a very colorful 1829 half dime in PCGS MS-63, an 1800 LM-2 and two 1800 LM-4 half dimes! 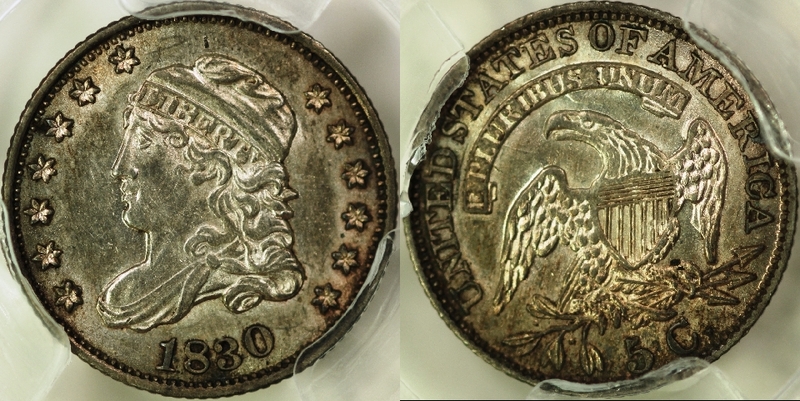 We also have a nice 1830 LM-1.2 in PCGS AU-55, plus an 1833 LM-2, and an 1837 LM-5. 1800 LM-4 R7 PCGS Genuine, bent, F det. A decent example of the very rare LM-4 die marriage. All diagnostics are clear. 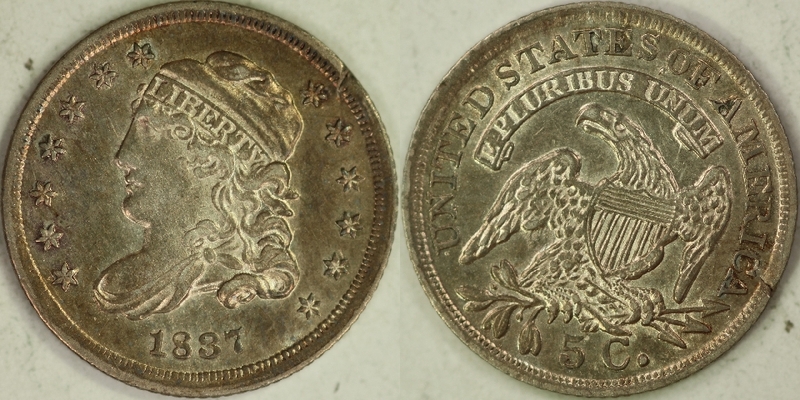 Approximately 9 known LM-4's, and this coin is the 5th one we have handled. About 8 - 9 known. I have handled 5 of these. 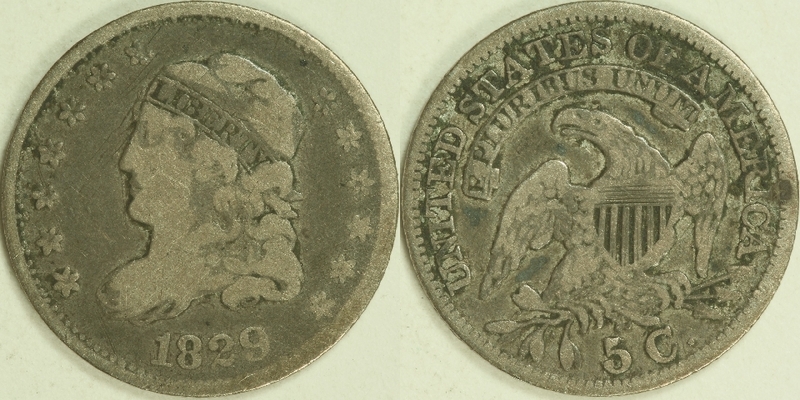 A low grade one, but certainly an acceptable example of this rare die marriage. 1829 LM-18 R5 VG-8, scrs. Labeled on the slab as LM-1.1, but it has the die crack from the right wing tip to the arrow shafts, and die crack from top of R to top of I to left side of C. Therefore it is an LM-1.2. But it is a very nice high grade example of LM-1.2 with decent lustre and an original look. I sent this back to PCGS for reattribution and they still believe it is an LM-1.1. 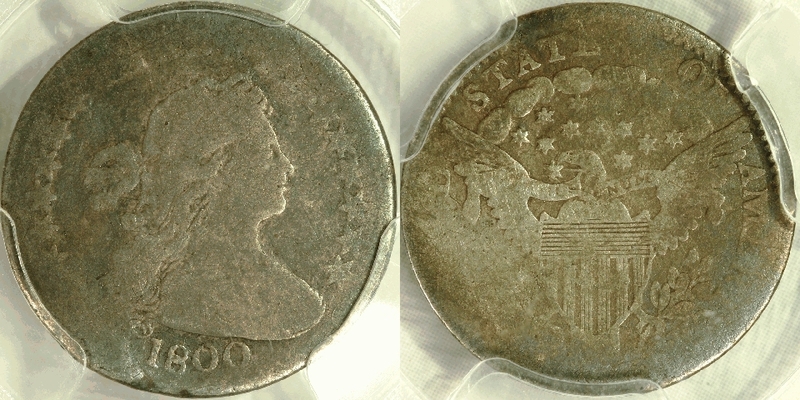 However, the die cracks I mentioned above are still on the coin, so I still contend that it is an LM-1.2. Was $495. R3 in the book, but try to find one, especially a true LM-5.1. 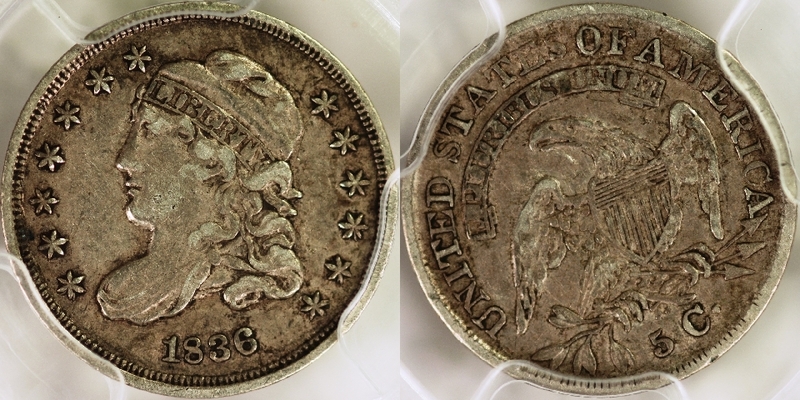 This half dime has none of the markers of LM-5.2.